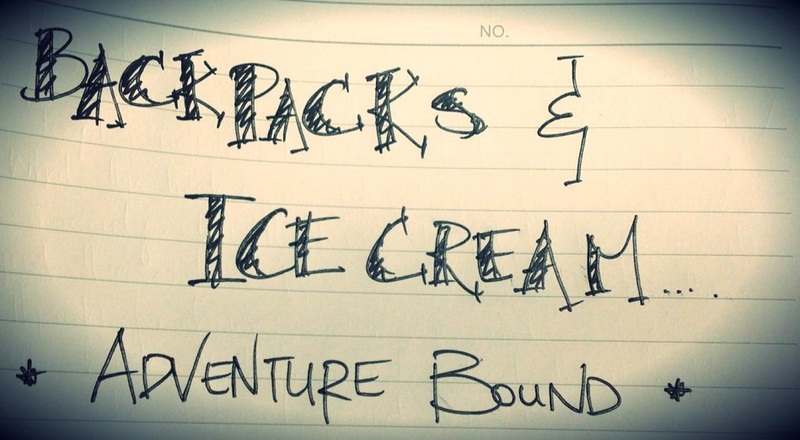 Backpacks and Ice Cream...adventure bound: Welcome to 2013! I just wanted to do a quick post and welcome everyone to 2013. Wherever you are in the world, I hope you kick started the New Year in a great way. This was my first celebrating New Years in Seoul, South Korea surrounded by great friends. There are many popular areas in Seoul, each with their own festivities. We decided to spend our night in Hongdae (홍대), one of my favourite areas in this city. 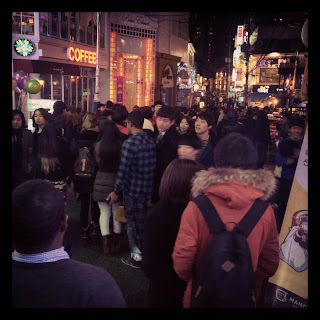 For the night the streets were packed with almost as much foreigners as locals. Trees were adorned with lights, all the stalls were out a little later than usual and street performers entertained the masses before the countdown. Typically, a New Year’s tradition for Koreans is to watch the first sunrise of the year. It is a little hard to do this here but a few friends managed to catch a glimpse in Busan and other smaller towns across the country. 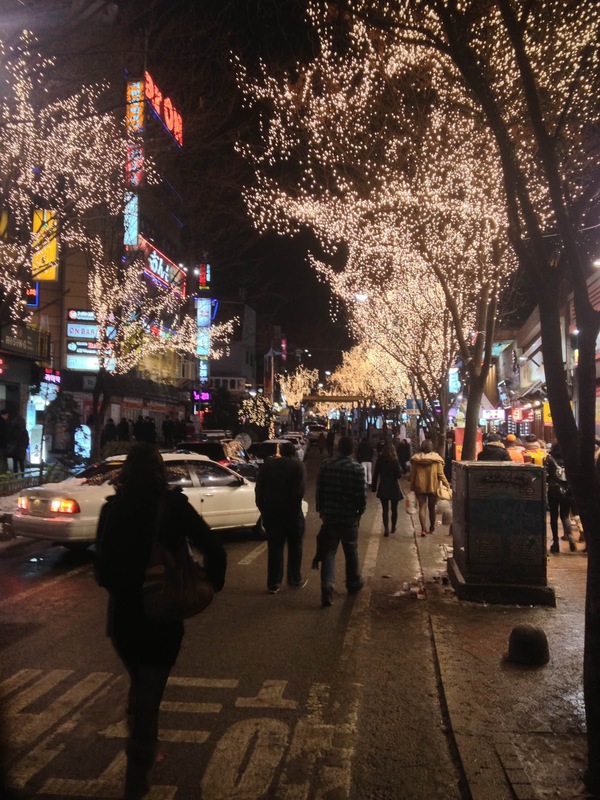 Hongdae is very known for the younger crowd as it is one of the areas that is popular for all the night-goers and as well as being close to Hongik University. 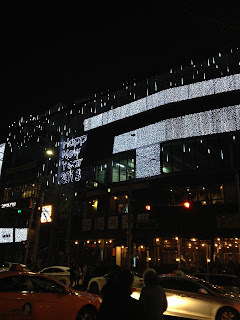 Hongdae is actually an abbreviation of Hongik Daehakgyo (홍익대학교), Korean for Hongik University. This area has great clubs and pubs, as well as a range of restaurants. The area is also known for its indie street arts, underground band musicians and urban street arts. Also, if you happen to be here during a weekend every Saturday (except in winter) flea markets are held on a playground (놀이터) that is in front of the main gate of Hongik University. The flea markets are called the "Hope" and "Free" markets. It is a fledgling craft market of things made by students and street artists. These are just a few shots from my New Years night in Hongdae, Seoul. How did you spend your New Years? Getting help so I don't fall on the ice!